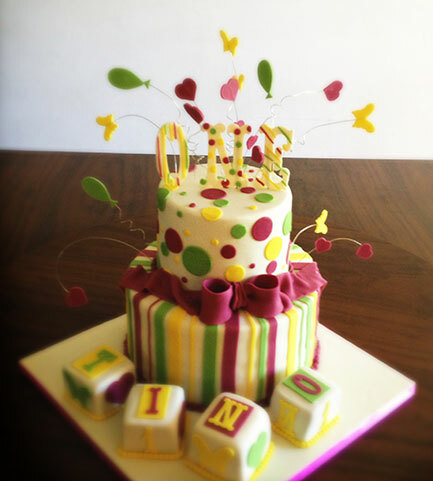 A fun 2 tier cake in a variety of moist sponge flavours to celebrate a first birthday. The baby blocks in front spells the child's name. Colours can be changed to suit your theme.